Today's 2017 California Transportation Planning sessions should be good ones, especially with the recent passage of Senate Bill 1 - California's new ten-year transportation funding measure, signed Friday by Governor Brown. Our first policy session covered by TransportiCA will be, "Investing in Transportation: Revenue increases from traditional funding sources, while exploring new opportunities," moderated by Andrew Dohrmann, with panelists Susan Bransen, Grace Crunican, Baruch Feigenbaum, and Nadine Lee (14:00-15:30). After a short break, the concluding session will be, "Transportation and a Vibrant Economy: Economic Assessment's Role and Application in Transportation Investments and Economic Development," moderated by Barry Padilla, and featuring panelists Matthew J. Holian, Jim Miller, and Dr. Emily Wimberger (16:00-17:30). We look forward to a productive, provocative, and insightful day, filled with a diversity of perspectives on securing new transportation funding; then, hearing about the overall economic impact resulting from such infrastructure investment. However, before this all begins, let's face it, today's keynote is a transportation deity like no other. 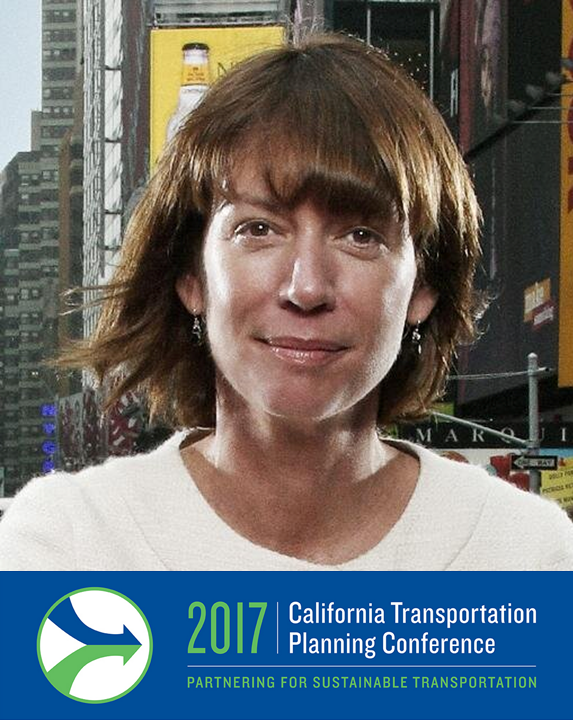 She is none other than the amazing Janette Sadik-Khan. Currently the Transportation Principal for Bloomberg Associates, Sadik-Khan is the visionary who transformed New York City's Department of Transportation into a world-renowned multi-modal planning organization, and done so in only six years. Besides her role at Bloomberg, Sadik-Khan is also the Chair of "NACTO," the National Association of City Transportation Officials, and author of the bestseller, Streetfight: Handbook for an Urban Revolution, featured as TransportiCA's Book Club selection for October 2016. We will keep you posted on all developments from the conference via our Twitter handle, @transportica.